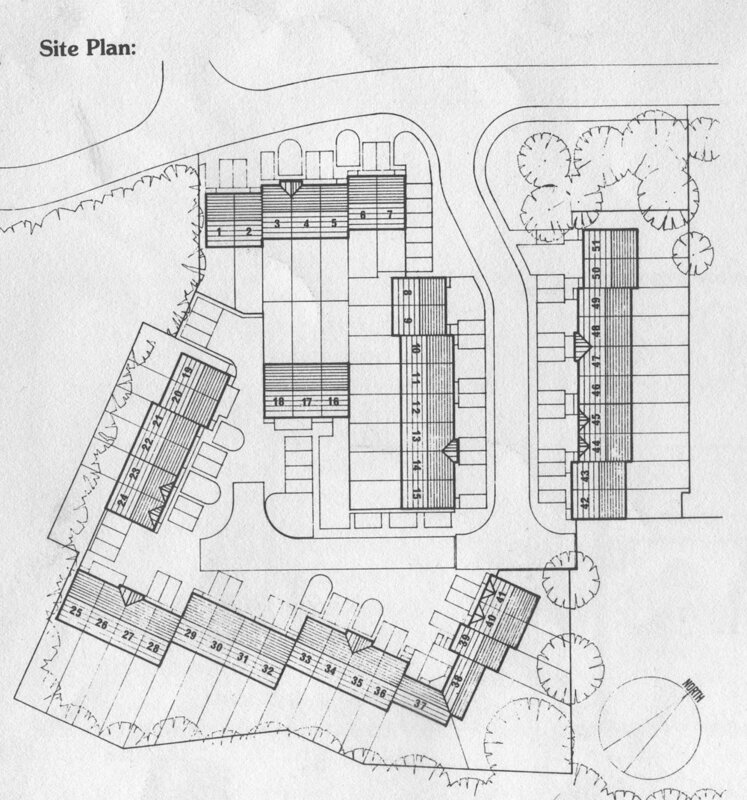 Suburban housing in Ireland at this time was mostly semi-detached (duplex) two storey housing ‘schemes’, built by one developer for private sale, on wide straight trafficked roads with grass margins and footpaths, no sense of place or community. An influential publication at the time was ‘A Design Guide for Residential Areas’ published in England by Essex County Council in 1983, which followed from earlier editions from 1973. A particular thrust of these guides, was to encourage the use of ‘mews courtyards’ of shared vehicle and pedestrian surfaces, that allowed enclosed urban ‘village’ spaces. This also reduced the land area devoted to roads. As private houses for sale, the market for housing of this type was very conservative, private developers building all the houses were architecturally unsophisticated, focussed on saleability and profit. Any suggestion of a modernist aesthetic, was not part of the conversation. ‘The Grove’ as it was called in the marketing brochures, consists of 51 terraced houses on 1 hectare (2.4 acres) the equivalent of ten ¼ acre blocks, they are mostly 3 bedroom dwellings, some 5 bedrooms for larger Irish families, capable of accommodating about 250+ people, at 21 houses per acre. The most common Type ‘A’ House is 3 bedroom, two storey, 92 sq.m. 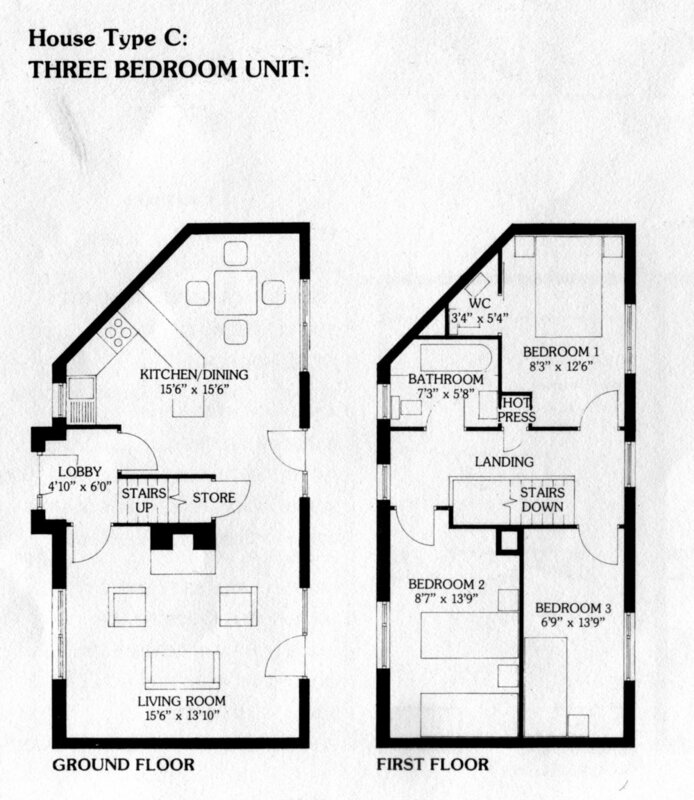 There were 6 three storey 5 bedroom Type ‘B’ each 140 sq.m; and two Type ‘C’ each 88 sq.m. The perspective drawing by John Menage, who was senior architect in our office, gives a better impression than the built reality, however the project survived the vagaries of the developer-builders' own interpretations, and has become a successful residential communal environment. I met a woman in Sydney who had lived in one of the houses, and had ‘loved it’. I have no good photographs of the matured development.